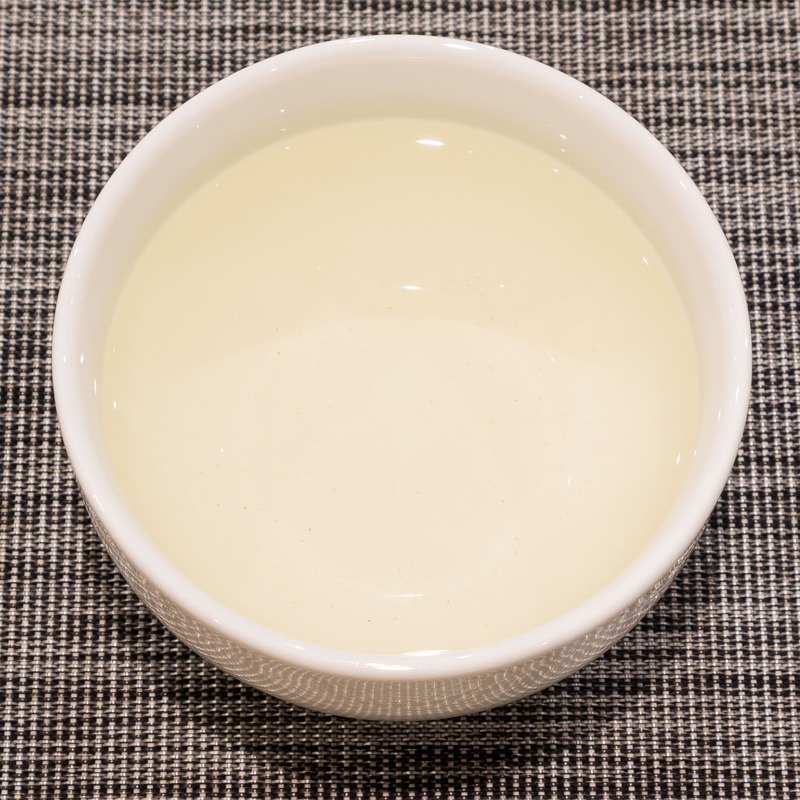 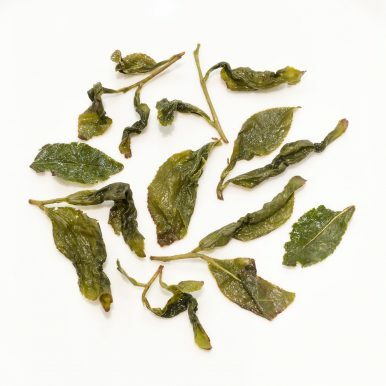 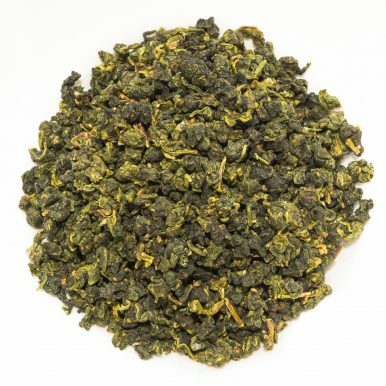 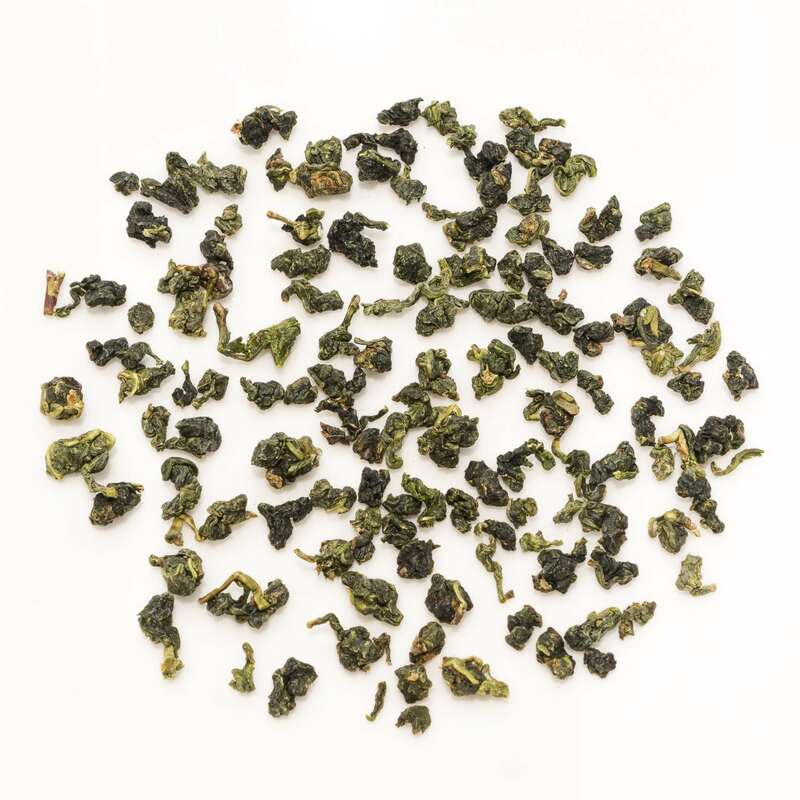 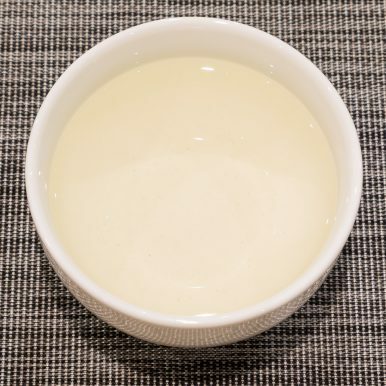 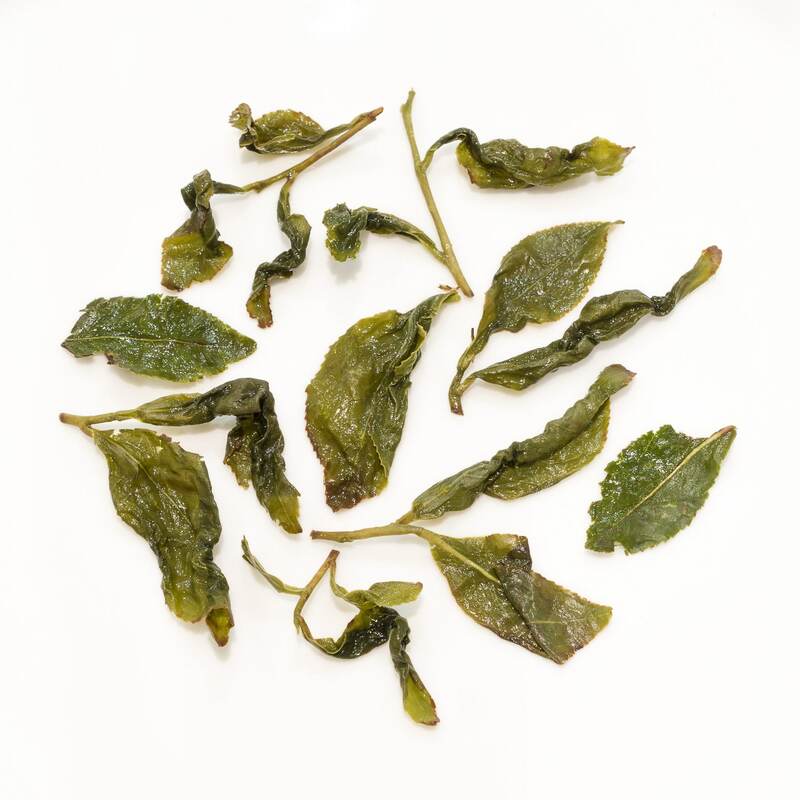 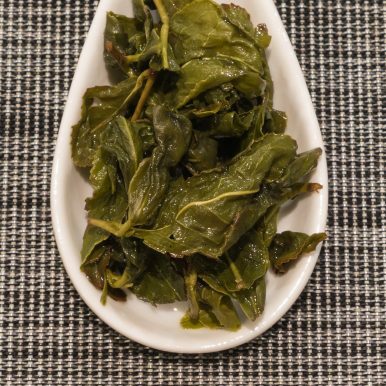 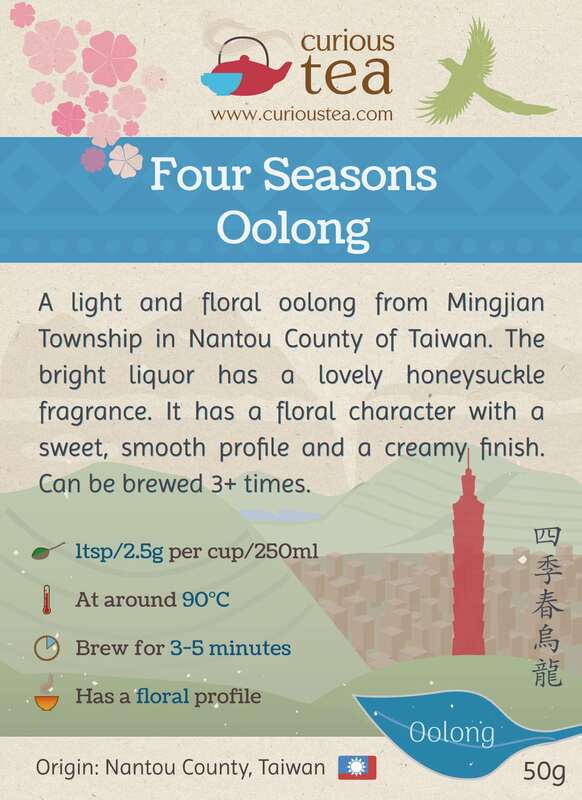 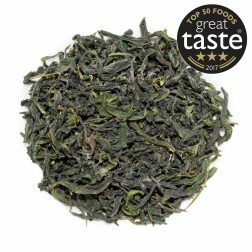 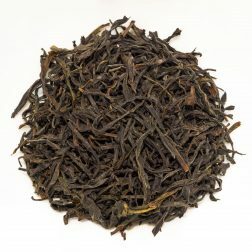 This Four Seasons Oolong (Si Ji Chun) is a wonderfully aromatic lightly oxidised oolong grown around Mingjian Township in Nantou County, Taiwan. 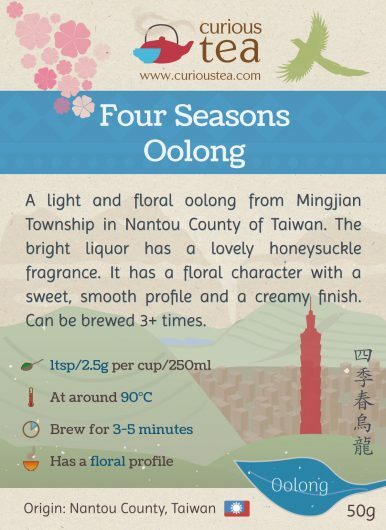 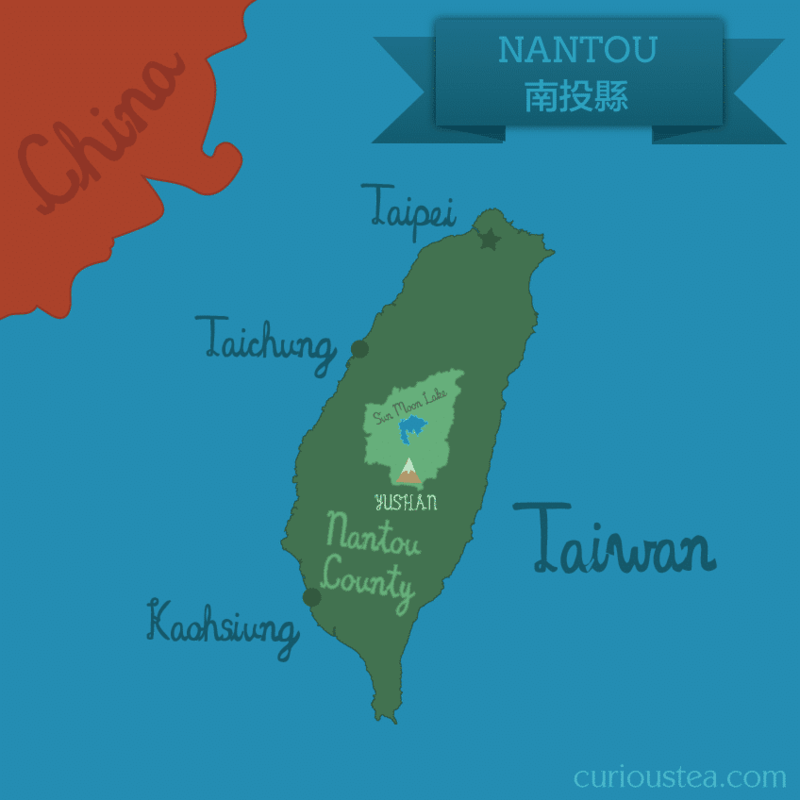 It is an expressive tea, yet it makes a very refreshing drink. 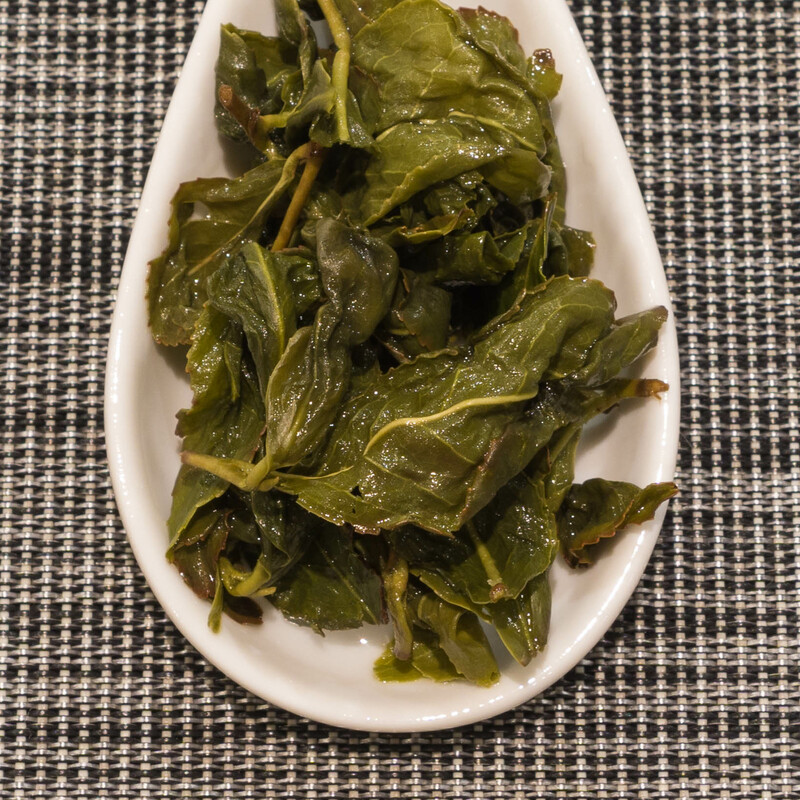 This particular batch is from a spring crop, plucked in November 2017. 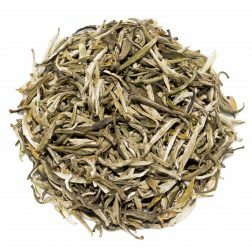 This tea was first featured in our September 2016 Curious Tea Subscription Boxes.